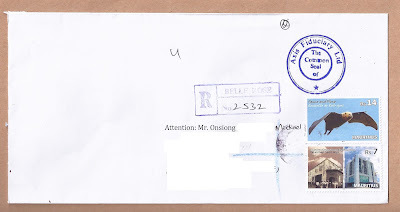 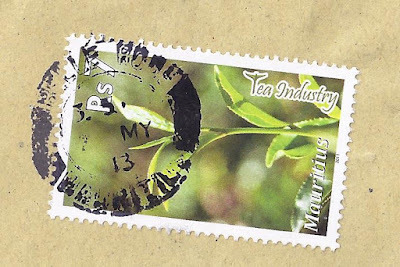 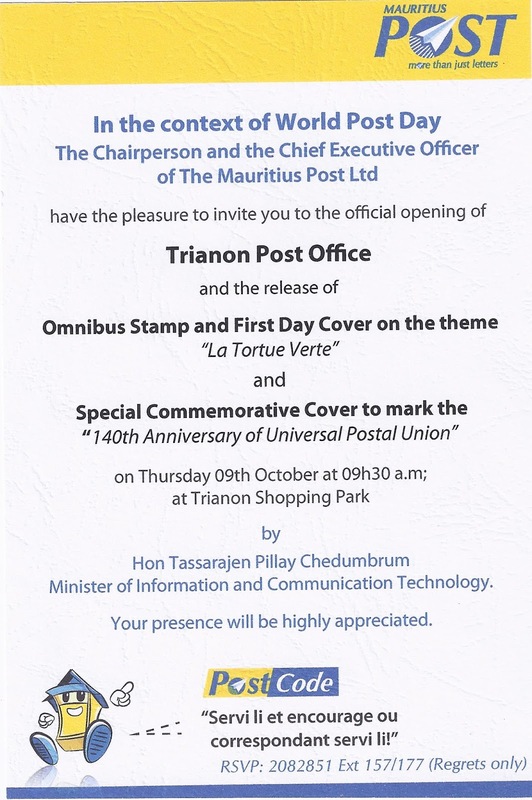 The Mauritius Post released on 6 October 2014 a Special Envelope to mark the closing of Belle Rose Post Office (PO) and the opening of a new Post Office at the Trianon Shopping Park. 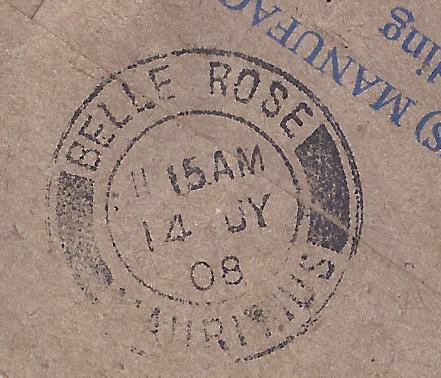 Belle Rose PO opened on 16 March 1948. 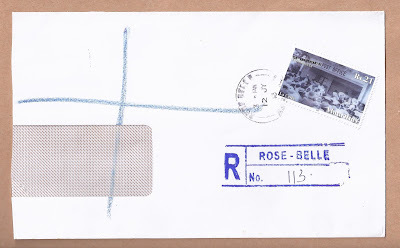 Belle Rose is a locality in the city of Quatre Bornes and is stuck between the city of Rose Hill, the recently-founded cybercity of Ebène and another small locality, Trianon. 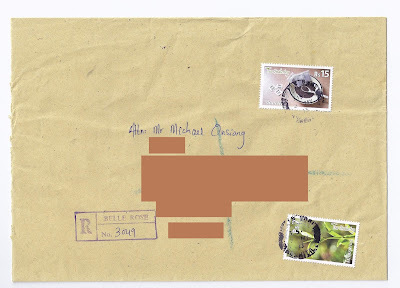 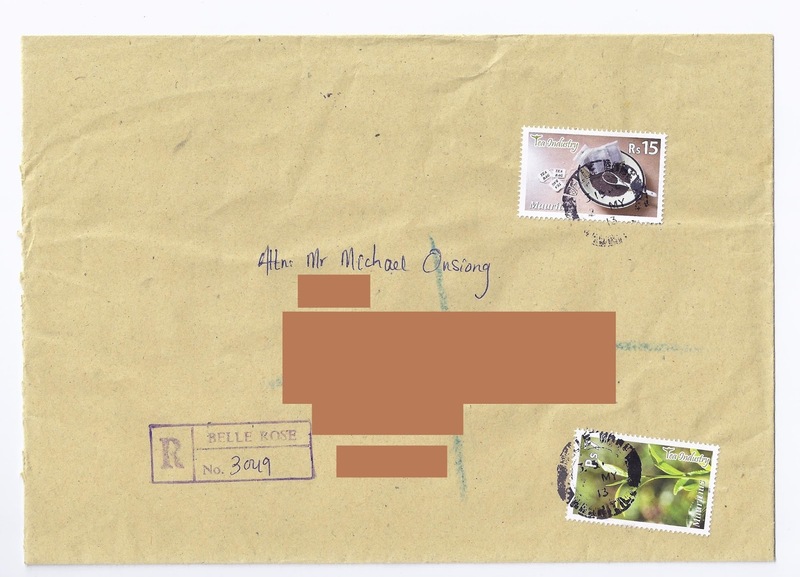 Mail registered on 22 August 2014 with illegible datestamp. 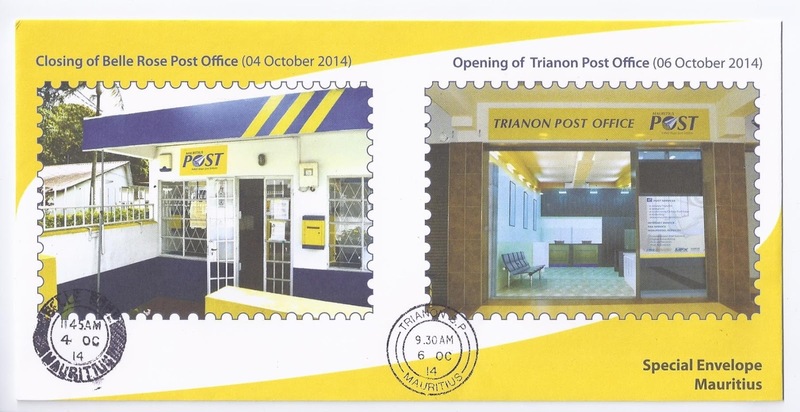 Following the closing of Belle Rose PO on 4 August 2014, all postal and non-postal services were transferred to the new Trianon PO which opened to the public on 6 October 2014. Belle Rose must not be confused with Rose Belle which is a village in the south-east of Mauritius. 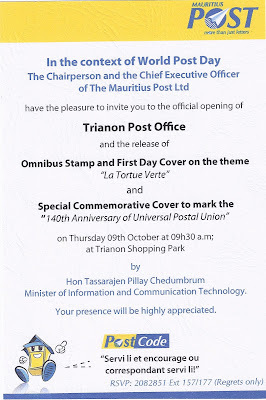 Official inauguration of the Trianon PO was held on 9 October 2014, World Post Day, in the presence of Tassarajen Pillay Chedumbrum, the then Minister of Information and Communication Technology, Arnaud Godère, the then Chairman of the Mauritius Post, and Giandev Moteea, the Chief Executive Officer of the Mauritius Post. The Trianon PO is the first one to be opened in a shopping mall in Mauritius. 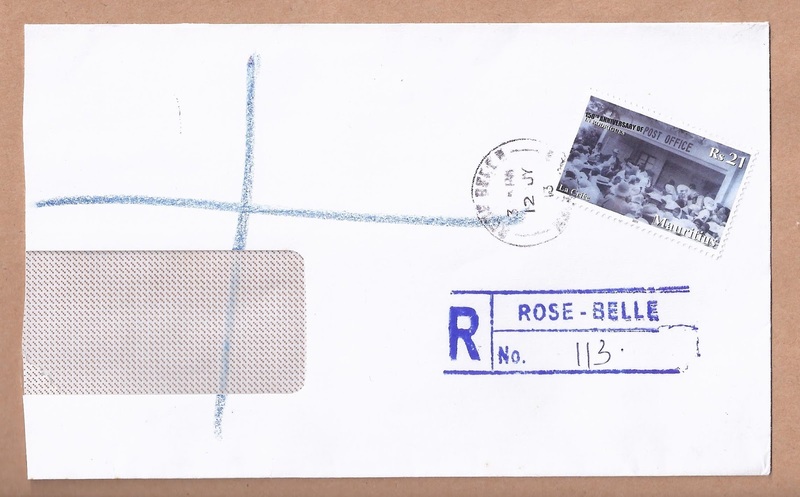 Many Postal Agencies (PAs) used to operate in grocery shops (locally known as 'la boutik') such as Henrietta PA at a general store and La Louise PA at a bakery since 1969 until their closing on 17 August 2011 and in December 2012 respectively. 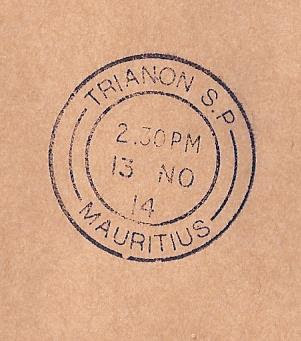 Albion PA currently operates in a supermarket.